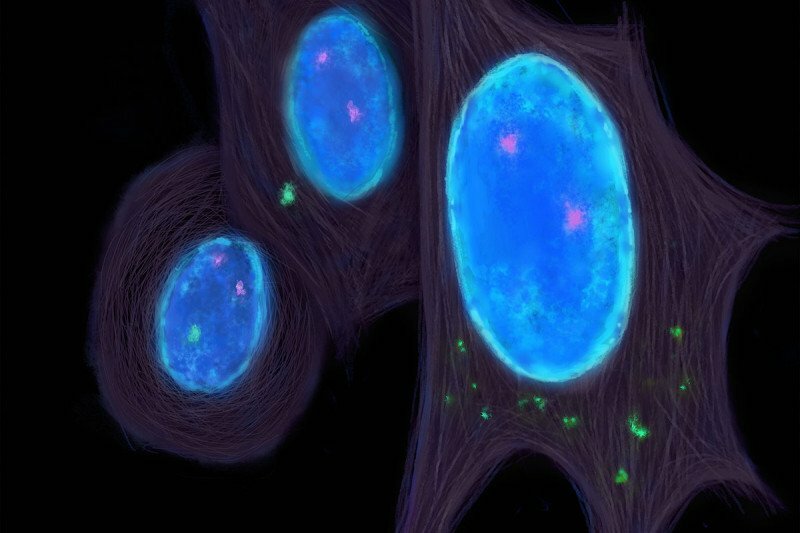 A new finding suggests that a genetic mistake in cancer cells known as chromosomal instability creates an inflammatory state within the cells. The cancer cells take advantage of this condition by hijacking pathways used by immune cells to migrate. This enables these escape artists to slip away from the primary tumor and move to other parts of the body. The insight could guide treatment strategies to block cancer from spreading. Cancer becomes especially lethal when cells break off from a primary tumor and spread, or metastasize, to other parts of the body. 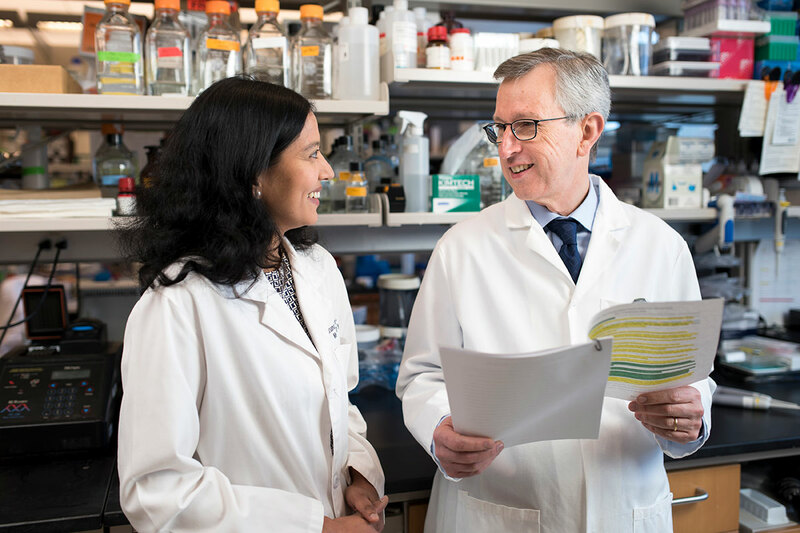 A new discovery by a research team from Memorial Sloan Kettering and Weill Cornell Medicine published in Nature suggests that a certain genetic flaw triggers events inside cancer cells that enable them to escape and metastasize. 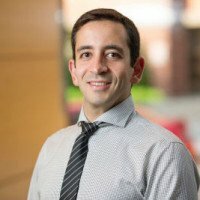 Lead author Samuel Bakhoum, a radiation oncology resident at MSK working with professor Lewis Cantley at Weill Cornell Medicine, explains the finding and its significance. What is the genetic error that appears to contribute to metastasis and why did it draw the interest of your team? A lot of research has gone into identifying the genetic mistakes that promote metastasis. These mistakes can occur as cells divide, first when turning a normal cell into a cancerous one, then into a cancer cell that spreads. But finding genetic drivers that promote metastasis has remained elusive. One type of genetic error that has been linked to cancer aggressiveness and resistance to treatment is called chromosomal instability, or CIN. This means that entire chromosomes are duplicated or deleted during cell division. The daughter cells then do not have the same number of chromosomes as the cell from which they originated. We wanted to see whether CIN also correlates with cancer metastasis. We compared cells from human primary tumors in breast cancer, lung cancer, kidney cancer, and head and neck cancers with metastatic cells in the same person. The metastases had high levels of chromosome heterogeneity. That means the chromosome numbers varied widely. This confirmed the link between CIN and metastasis. How did you prove that chromosomal instability was actually causing the metastasis? We did experiments in which we increased or suppressed CIN in human breast and lung tumor samples and injected them into mice. Those samples with high CIN spread more readily, and the animals died sooner. The opposite was true for the mice receiving tumor cells where CIN had been suppressed. This proved that CIN was driving the metastasis, but it was far from clear how this instability enables cancer cells to spread. At the same time, we had noticed that cancer cells with high CIN had high activity of genes linked to inflammatory responses. This activity increased even before being injected into the animals, so they weren’t doing it as a result of being exposed to external stimuli. This type of inflammation normally draws immune cells to a site. It did not make sense why the cancer cells would want that. This led us to suspect that the cancer cells were actually using the inflammation — and the immune response — to detach from the tumor and become mobile. Cancer cells engage in a form of immune mimicry. This allows them to avoid the lethal consequences of the ensuing inflammation. It's like getting into a police car to leave a crime scene swarming with cops to avoid getting caught. How does the chromosomal instability in cancer cells trigger the inflammatory response? In cells with CIN, cell division sometimes goes so drastically wrong that entire chromosomes in daughter cells end up outside the nucleus in structures called micronuclei. They are surrounded by micronuclear envelopes. These envelopes rupture and spill DNA into the cytoplasm, where it does not belong. When a normal cell senses DNA in the cytoplasm, called cytosolic DNA, it assumes it came from a virus. In response, the cell either self-destructs or activates an antiviral immune response from the outside that destroys the cell. Cancer cells, however, survive despite having lots of DNA in the cytoplasm. They have evolved a way to withstand the usual destruction, either self-induced or from outside. How do the cancer cells avoid immune destruction and escape the primary tumor? The cancer cells, in effect, act like first-responder immune cells that usually spring into action when cytosolic DNA is detected. These immune cells are called myeloid-derived cells. They go to sites of inflammation to fully activate other components of the immune system, such as the T cells, to come and attack the foreign invader. By behaving like myeloid-derived cells, cancer cells engage in a form of immune mimicry. This allows them to avoid the lethal consequences of the ensuing inflammation. It’s like getting into a police car to leave a crime scene swarming with cops to avoid getting caught. Could these findings help guide treatment strategies to stop metastasis? These discoveries suggest that restoring normal responses to inflammation could pave the way to selectively target chromosomally unstable and aggressive tumor cells. The cancer cells are using CIN and the presence of cytosolic DNA to spread to distant organs. But they are playing with fire. One possible way to target those cancer cells would be to further increase CIN to tip the balance away from survival toward self-destruction. This could make the cells pay the price for having so much cytosolic DNA and push them over the edge. From the perspective of the immune system, you could target the ways that cancer cells are cloaking themselves to avoid the immune response. These therapies would probably be combined with other strategies, such as immunotherapies, to stop the cancer from spreading. Any insight we can gain into how cancer spreads is an important step toward making cancer less deadly. MSK investigators are learning how cancer cells escape from the original tumor and hide out in the body. Their goal is to prevent metastatic tumors from forming. Dr. Cantley owns equity in and receives compensation from Agios Pharmaceuticals, and also serves on its Board of Directors and Scientific Advisory Board. Agios Pharmaceuticals is identifying metabolic pathways of cancer cells and is developing drugs to inhibit such enzymes in order to disrupt tumor growth and survival. Dr. Cantley is also a founder of and receives laboratory support from Petra Pharmaceuticals, a company developing drugs for cancer therapy.